Warming to Blame for Western Wildfires? Q: Did climate change cause the wildfires out West? A: Scientists say a hot and dry summer — conditions more likely in a warmer world — caused widespread wildfires in Western states. But land use changes also have played a role. As of early October, the National Interagency Fire Center reported that roughly 8.4 million acres — an area larger than Maryland — have burned across the U.S. this year. Just five Western states — Montana, Nevada, California, Idaho and Oregon — made up more than half of that acreage. Alaska and Texas, the country’s two largest states, also contributed hefty sums. That does not include the tens of thousands of acres that have been lost this week in Northern California, where ongoing wildfires so far have killed 10 people and destroyed 1,500 structures. One of our readers wrote to us about the wildfires in Oregon, saying that they are “NOT due to ‘climate change,’” but rather “directly caused by the ending of good sustainable timber harvests.” So, we thought we would lay out the evidence behind the cause of the fires in the West. Is climate change to blame? Or land management practices, such as timber harvesting? The answer is: It’s complicated. Climate influences the occurrence of wildfires and so do land management decisions. But when it comes to the latter, it’s less about timber harvesting specifically and more about broad-scale land use changes that has occurred over the past two centuries. Is This Fire Season Particularly Bad? First, it’s worth putting this season into the context of the past. Kari Cobb, a spokesperson for the National Interagency Fire Center, told us by email that there are a few different ways to assess the severity of a particular fire season, such as acres burned or homes lost. The NIFC is a partnership of nine different federal agencies, including the Bureau of Land Management, the National Park Service and the U.S. Forest Service. Different regions experience their fire seasons at different times of the year. The fire season starts earliest in the Southwest, around March or April, while the Northwest’s fire season starts around July. In the “latter part of the year,” Southern California along with Georgia and Alabama may still see fires, she added. For example, in addition to the Northern California fires, thousands of homes have been evacuated and acres consumed as a result of fires this week in parts of Southern California. When it comes to homes lost, Cobb said that as of the morning of Oct. 10, 4,619 structures have been lost to wildfires. That includes 3,240 homes, 155 commercial structures and 1,224 other minor structures, such as sheds or garages. But wildfires consumed 5,775 structures in 2003 — the most in one year since 2001, the first year for which Cobb had this data. As for the most acres consumed by wildfires, 2017 doesn’t top the list, but it does make the top 10 — coming in 7th place so far, according to data dating back to 1960 (see chart below). Since 1960, the top 10 worst fire seasons by acreage all occurred in the 21st century with 2015 topping the list at just over 10.1 million acres burned. However, data prior to 1983 aren’t as solid as data after that year. For that reason, data before that year shouldn’t be compared with data after it, the NIFC says. Still, the trend since 1983 shows a general increase in acres burned per year. But a different picture unfolds when forest fires of recent years are put into the context of the past three millennia. In a paper published in the journal Proceedings of the National Academy of Sciences in 2012, Jennifer Marlon, a scientist at Yale’s School of Forestry and Environmental Studies, and colleagues, looked at charcoal accumulation in sedimentary rocks, among other data, to understand the impact of fires in the West over the past 3,000 years. The “lowest levels” of Western fires occurred in the 20th century and between 1400 and 1700, while “[p]rominent peaks in forest fires” took place between 950 and 1250 and during the 1800s, the paper found. The researchers add that the 21st century rate of burning “is not unusual” based on patterns over the past 3,000 years. Even with the increase in fires since the 1980s, the fire deficit continues to grow. Update, Oct. 11: This story has been updated to include data for the number of structures that have been lost to wildfires this year, as of Oct. 10. There’s a difference between what sparks fires initially and what factors make them more likely to occur and grow. If we’re talking about what initially sparked the wildfires out West, the answer is humans and lightning. In Montana — the state that’s seen the most burning by acreage — lightning has sparked more than 90 percent of the fires to date. In Oregon, Nevada and Idaho, lightning was also to blame for the majority of wildfires. But in California, humans sparked slightly more fires than lightning did to date, Cobb told us. Lightning and humans pose less of a threat to Western forests when the region experiences a wet and mild summer. That was hardly the case this year. Cobb emphasized that it was the combination of “a very wet winter and a very wet spring” followed by a dry and hot summer that did the West in. The wet winter and spring led to “an increase in fuel loading,” or more plant growth, she said. “Once the spring precipitation ceased, temperatures increased at a very steady rate, causing all that fuel to dry out relatively quickly,” she added. “With such dense, dry fuels, much of it was easily ignitable” by humans or lightning. John Abatzoglou, an associate professor at the University of Idaho who studies wildfires, also told us by email: “Timber groups and foresters have suggested that the current fire problem may be related to the decline in western U.S. timber cultivation,” which our reader mentioned when emailing us. The argument is that if more trees are cut down, there is less fuel to burn in a wildfire. But Abatzoglou said that a decline in timber harvesting isn’t always followed by a rise in wildfires. In fact, a 2009 report from the U.S. Department of Agriculture says timber harvesting can, in some cases, increase fire risk. The report explains that when big, spread out trees are cut down for timber, smaller, densely packed trees can crop up in their place, which can actually lead to more fuel for fires. Still, “a decline in timber harvest on federal lands … may contribute to a bit more ‘fuel’ in spots,” Abatzoglou acknowledged. Timber harvesting on federal lands in the Pacific Northwest has declined since at least 1990, when the U.S. Fish and Wildlife Service listed the northern spotted owl as threatened under the Endangered Species Act, according to a 2005 USDA report. The listing led to the protection of large areas of forest for the bird’s habitat. Additional environmental protections imposed after 1990 also reduced timber harvesting. Apart from sparking wildfires with cigarettes and campfires, humans can affect the occurrence and spread of wildfires in a few other ways. For one, the way we use and manage the land can impact the prevalence of fires. Human activity also has led to changes in the climate, as we’ve written, and scientists say climate has historically been the primary control knob for fires in the West, write Marlon and colleagues in their PNAS paper. Let’s take a look at the climate’s role first. In their 2012 study, the researchers found that changes in climate accounted for roughly 80 percent of variations in biomass burning in the West from at least 500 to 1800, at least when it comes to changes over multiple decades and centuries (not individual years). Temperature accounted for about half of the total variance in burning, while drought was responsible for about a third. Marlon and her group chose this specific period because data prior to 500 weren’t sufficient. After 1800, human settlement in the West complicated the picture, which we’ll get into later. However, humans haven’t been responsible for changes in the climate until relatively recently in the planet’s history. According to the 2013 United Nations Intergovernmental Panel on Climate Change report, it’s “extremely likely” (95 percent to 100 percent confident) that more than half of the observed temperature increase since 1950 is due to human activities, such as the burning of fossil fuels. Natural phenomena, such as solar activity and volcanoes, can also affect the global climate. This year is a good example of that: With more precipitation in the spring than in the summer, vegetation dried out fast and turned into fire fuel. We mentioned this general shift from steady summer rain to spring storms in August, when we wrote about the impact of climate change on agriculture. But as we’ve also written previously, researchers have varying degrees of confidence when attributing warming to different types of extreme events, such as hurricanes, drought, extreme heat and wildfires. They examine the relationship between global warming and extreme events from three different angles: observation, theory and modeling. Scientists have the highest confidence saying that warming exacerbated a particular kind of phenomenon when there’s solid data from the past, physical principles to explain the link between the event and warming and models to reproduce that relationship. According to a 2016 report by the National Academies of the Sciences, this is the case for extreme heat, one phenomenon that exacerbates wildfires. Solid historical data suggest there will be more extreme heat in a warmer world. Models also show a link between extreme heat and global warming, and there’s theory to support the link, too. However, scientists have medium confidence that warming exacerbates drought — another wildfire aggravator — because their models, theory and observational record backing the link are somewhat less solid than those linking extreme heat and warming. To be clear, warming doesn’t cause wildfires. But it can bring about the conditions that make wildfires more likely to occur and spread, such as heat and drought. We explained this distinction back in August, when we wrote about the relationship between hurricanes and climate change in the aftermath of Hurricane Harvey. As with wildfires, scientists have more confidence linking warming to the phenomena that are known to exacerbate hurricanes — such as warmer ocean waters — than to hurricanes themselves. Still, scientists especially struggle with linking warming to wildfires because so many factors contribute to their occurrence, the NAS report says. Among these factors are land use change and management. We mentioned that human settlement post-1800 complicated the picture when it comes to understanding trends in wildfires in the West. Marlon and her colleagues elaborate on why this is in their 2012 paper. After 1800, many people began settling in the West, which led to the burning and clearing of large swaths of forest for agriculture and development. Humans also brought with them many invasive species, which “had major impacts on a host of ecological processes that affect fire, including forest composition and structure, nutrient cycling, soils” and other processes, the researchers explain. With more humans, there were also more accidental fires. For example, “the development of steam power and railroads … created sparks leading to large numbers of wildfires until the early 1900s (when the railroads were required to start clearing woodlands within 100 feet of tracks to prevent fires),” Marlon and her group write. All of these actions threw wildfire activity out of sync with the climate, an equilibrium that had been in place for thousands of years prior to human settlement. Actions in the 1900s have also contributed to this imbalance. By the late 1800s, wildfires began to decline, also “largely due to human activities,” the researchers add. For one, “Hundreds of thousands of livestock were introduced to pine forests and grasslands in western states,” which led to reduced fuel for fires, they explain. Road building also “created fire breaks that limited the natural spread of fires,” they write. Several large and deadly fires also changed people’s attitudes about fire policies, they explain. This paradigm shift led to the creation of the U.S. Forest Service in 1905, which had the “primary mission of suppressing all fires that occurred on reserved lands,” they add. Abatzoglou told us this fire suppression policy still largely remains in place today. However, “There have been policies implemented over the last 30 years to occasionally let fires burn for natural benefit in certain areas that are not at risk (e.g., unpopulated, away from sensitive ecosystems), but those represent a fairly small sample of fires,” he said. Some prescribed fires also have been used as of late, he said. According to the U.S. National Park Service, “Prescribed fire is one of the most important tools used to manage fire today.” The rationale is that burning forest fuel under optimal and controllable conditions reduces the chance of catastrophic wildfires. But, in some cases, these controlled burns are “politically unpopular,” Abatzoglou said, because prescribed fires, like all fires, create smoke that’s toxic to humans. Compared with previous centuries, Western forests were “fundamentally changed in the 1800 and 1900s,” Marlon and her group conclude in their 2012 paper. These land use and management changes have thrown the once strong link between climate and wildfires out of equilibrium, they add. Where does that leave us in the 21st century? The combination of the land use changes that occurred during the 1800s, the fire deficit that grew in the 1900s and the current projections for temperature increase into the 21st century has put us on an “unsustainable” path, write Marlon and colleagues. Meaning, the situation isn’t getting any better. Modest temperature increase will have a substantial impact, but “[m]ore dramatic increases in temperature or drought are likely to produce a response in fire regimes that are beyond those observed during the past 3,000” years, the researchers say. So whether it’s human-caused warming or land use changes, we are primarily responsible for putting wildfire activity out West on an unsustainable path. National Interagency Fire Center. Fire Report. Accessed 6 Oct 2017. U.S. Census Bureau. State Area Measurements and Internal Point Coordinates. Accessed 10 Oct 2017. Northern Rockies Coordination Center. 2017 Year-to-Date Fires and Acres. Accessed 10 Oct 2017. Great Basin Coordination Center. 2017 Year-to-Date Fires and Acres. Accessed 10 Oct 2017. Northwest Coordination Center. Situation Report. 5 Oct 2017. Alaska Interagency Coordination Center. Situation Report. 29 Sep 2017. Wong, Julia Carrie and Gee, Alastair. “California fires: at least 10 killed in ‘unprecedented’ wine country blaze.” The Guardian. 10 Oct 2017. Anh Do et al. “More than 5,000 homes evacuated as O.C. fire grows to 6,000 acres, destroying 24 structures.” Los Angeles Times. 9 Oct 2017. National Interagency Fire Center. Total Wildland Fires and Acres (1960-2016). Accessed 10 Oct 2017. Marlon, Jennifer R. et al. “Long-term perspective on wildfires in the western USA.” Proceedings of the National Academies of the Sciences. 10 Jan 2012. U.S. Forest Service. Prescribed Fire. Accessed 10 Oct 2017. NASA. “Dozens of Wildfires in Western United States.” 28 Aug 2017. Daniels, Jean M. “The Rise and Fall of the Pacific Northwest Log Export Market.” USDA. Feb 2005. U.S. National Park Service. “Wildfire Causes.” Accessed 10 Oct 2017. Schipani, Vanessa. 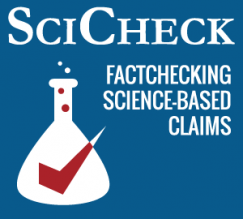 “Precision in Climate Science.” FactCheck.org. 3 Mar 2017. IPCC. Fifth Assessment Report of the Intergovernmental Panel on Climate Change. 2013. Schipani, Vanessa. “Pruitt on Climate Change, Again.” FactCheck.org. 9 Mar 2017. Schipani, Vanessa. “CO2: Friend or Foe to Agriculture?” FactCheck.org. 10 Aug 2017. NAS. Attribution of Extreme Weather Events in the Context of Climate Change. 2016. Schipani, Vanessa. Hurricane Harvey and Climate Change. FactCheck.org. 30 Aug 2017. U.S. National Park Service. Prescribed Fire. Accessed 10 Oct 2017. USDA. “Wildfire, Wildlands, and People: Understanding and Preparing for Wildfire in the Wildland-Urban Interface.” Jan 2013.